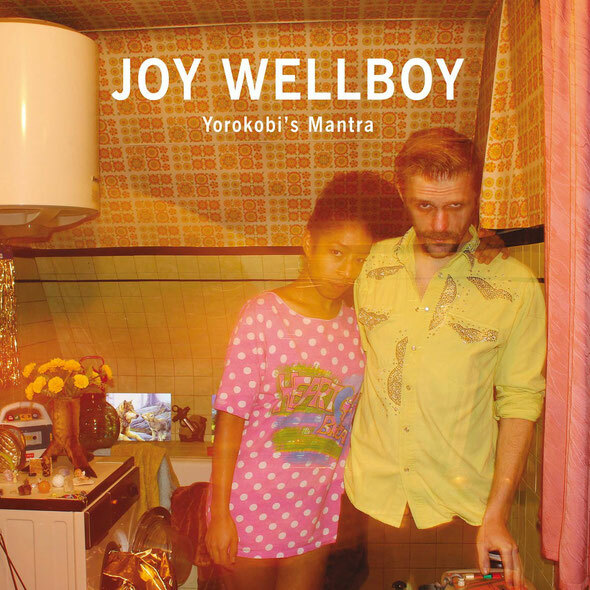 In their home country of Belgium and neighbouring France Joy Wellboy have enjoyed decent status for some time, although they have not released a great number of records up to now. Now, that’s all set to change with the release of their debut album ‘Yorokobi's Mantra’ on BPitch Control. The duo of Joy Adegoke and Wim Janssens are romantically as well as musically attached. "I love her manic part," confides Wim. "He puts my feet on the ground," says Joy. The two characters and their individual musical expression combine in symbiosis: Joy's creativity and sense of a catchy melody are channeled by Wim, who forms them into arrangements and memorable tracks with a good sound. After their single ‘Flush Me’, ‘Yorokobi's Mantra’ is a grand pop spectacle in the most positive sense. In its thematic exploration of life's highs and lows, the album sounds both cool and emotional, powerful and energy-laden. Each of the 12 songs develops an atmosphere in the space left between Joy's vocals and Wim's electronic textures. Happy-go-lucky pop songs like ‘I Can Handle’ and ‘What Baby’ are just as convincing as the haunting duet ‘Lay Down Your Blade’. The tracks range from full-on electronica trip ‘On the Beach’ to the intimate vocal and piano ballad ‘Rain Drop Races’. No-frills synth-pop songs like ‘Caress’ already whet the appetite for single and remix releases. It’s out September 2.